Cindy has 5 kids. The first kids name is January. The second kid is February. Third kid is March. Fourth kid is April. 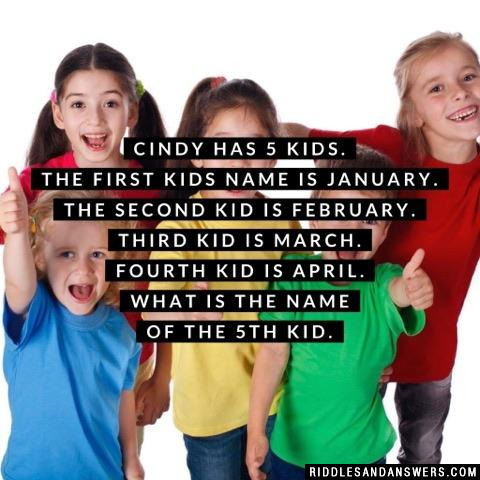 What is the name of the 5th kid?? The 5th kids name is What. "What is the name of the 5th kid."